Today’s college students are in the midst of a seismic shift. They are balancing dramatic changes in their own lives while dealing with uncertainties in a world around them. In a culture that is no longer predominantly Christian, college ministry workers can no longer assume the students on their campuses have a basic understanding of Christ or his Church. 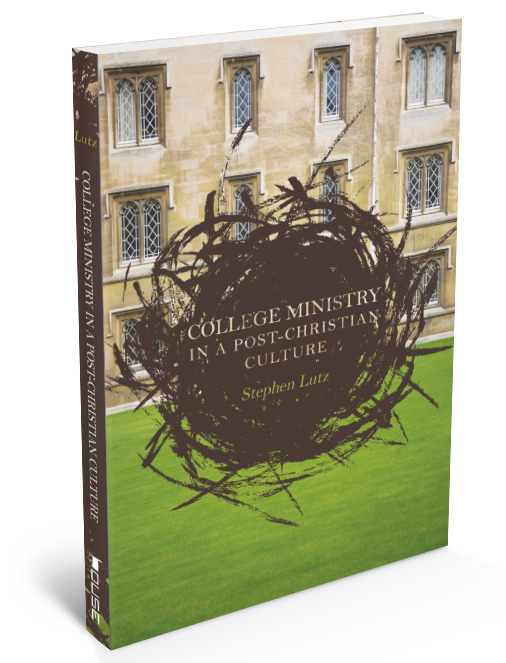 In College Ministry in a Post-Christian Culture, Stephen Lutz translates missional theology to the practice of college ministry—ministry as a proactive movement that is constantly adapting to its ever-changing environment. This resource will equip college ministry staff, pastors, churches, and student leaders to minister effectively to today’s college students with both depth and practical insight. The House Studio creates, comments on, and shapes the Church's ongoing conversation--taking seriously good stories and making them available to faith communities.